When we are asked to review a California limited liability company’s Articles or Operating Agreement, one of the first things we do is look for provisions requiring the holding of regular corporate-style board or shareholders’ meetings and eliminate them. California’s Revised Uniform Limited Liability Company Act provides for the holding of members’ meetings (just like California’s General Corporation Law) . But there is a real downside in California to calling for regular meetings in the operating agreement. a member of a limited liability company shall be subject to liability under the common law governing alter ego liability, and shall also be personally liable under a judgment of a court or for any debt, obligation, or liability of the limited liability company, whether that liability or obligation arises in contract, tort, or otherwise, under the same or similar circumstances and to the same extent as a shareholder of a corporation may be personally liable for any debt, obligation, or liability of the corporation; except that the failure to hold meetings of members or managers or the failure to observe formalities pertaining to the calling or conduct of meetings shall not be considered a factor tending to establish that a member or the members have alter ego or personal liability for any debt, obligation, or liability of the limited liability company where the articles of organization or operating agreement do not expressly require the holding of meetings of members or managers. In other words, the California LLC Act explicitly removes the failure to call or conduct meetings as a factor in deciding whether to pierce the veil of a limited liability company in order to impose personal liability on its members for what would otherwise be solely a debt of the company, so long as the company’s articles of organization or operating agreement do not expressly require that meetings of members or managers be held. As such, there is in California good reason for a company’s articles of organization or operating agreement not to include such a requirement, even though the statute includes other provisions governing meetings of members or managers. And if the company is generally acting without holding meetings, then that has the additional benefit of eliminating the need to regularly keep minutes or obtain consents in lieu of meetings. Compare Cal. 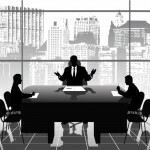 Corp. Code §§ 307 (corporate board meetings), and 600 (corporate shareholders’ meetings), with id. § 17704.07(f)-(t) (LLC members’ meetings). See id. § 17703.04(a)(2) (the debts, obligations, or other liabilities of a limited liability company, whether arising in contract, tort, or otherwise, “do not become the debts, obligations, or other liabilities of a member or manager solely by reason of the member acting as a member or manager acting as a manager for the limited liability company”). See id. § 17703.04(b) (emphasis added). If a limited liability company takes an action outside the ordinary course of its activities, such as selling or otherwise disposing of all, or substantially all, of its property, then the consent of all of the members of the company is required, which may necessitate either holding a meeting or obtaining consents in lieu of a meeting. See id. § 17704.07(b)(4), (c)(4). In either case, more corporate-style formalities would have to be followed to record the members’ consent to the taking of the action. See id. § 17704.07(h)-(q).